What if you had to Survive? In Canada, the Wilderness is All Around Us: We Live in it, We Travel Through it, We Need to Learn to Survive in it. 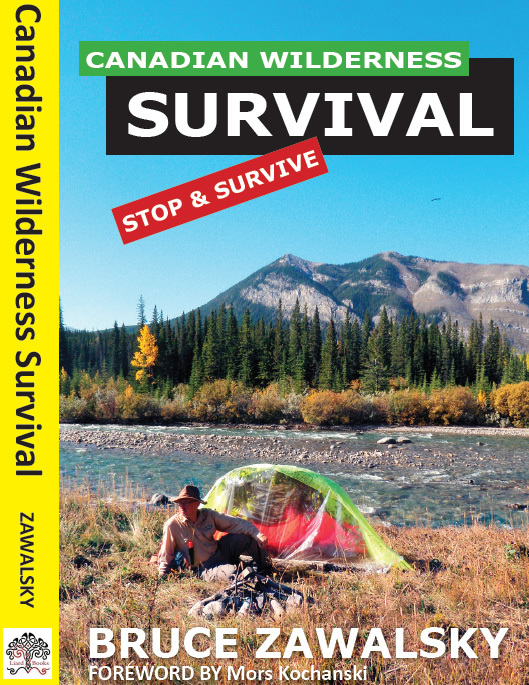 A Guide to Canadian Wilderness Survival answers the question, what if you had to survive being stranded in the Canadian wilderness? It teaches you how to survive comfortably in the northern forests by understanding the science of survival, controlling your fears and our often unrealistic expectations of life in the wilderness. This is the book you need to read before you accidently get stranded. A Guide to Canadian Wilderness Survival is a 450 page full colour modern wilderness survival manual with over 500 pictures and illustrations. It is broken up into three parts: “Part1: The Science of Survival,” “Part 2: Learning the Right Skills” and “Part 3: The Path to Survival.” The Science of Survival is the first part of the book and it introduces you to the science of survival, covering the physiology and psychology of modern wilderness survival. Learning the Right Skills is the second part and it covers what critical items to wear and take into the northern forests, how to build fires, how to build shelters and how to get found. The Path to Survival is the third part and it deals with threats in the wilderness, how to prepare in advance to avoid or mitigate a survival situation and what we can learn from others’ mistakes and successes when stranded in the wilderness. Canadian Wilderness Survival made the Edmonton Nonfiction Bestseller List for 7 Weeks: #1 Bestseller November 12th, 2017, #4 Bestseller November 19th, 2017, #3 Bestseller November 26th, 2017, #2 Bestseller December 3rd, 2017, #1 Bestseller December 10th, 2017, #2 Bestseller December 18th, 2017 & #3 Bestseller January 14th, 2018. “With Bruce, students not only learn the how of survival but the why as well. His scientific approach to survival training is the best. If you are looking for real world modern survival skills that are both preventative and life-saving, look no further.” — Dr. Marius Steyl, M.D.